A square on our Cash Calendar with your business logo, banner made with business logo that will be hung at Santos Field throughout the 2019 baseball season. Your business will be promoted on all social media platforms and email blasts. Acknowledgement of your sponsorship at opening and closing ceremonies. Each square is a donation amount of $100. Each square you donate to will have your business logo, plus your business will be promoted on all our social media platforms and email blasts. Each individual team will need a Team Sponsor which can be a business, family, parent of player etc. Team sponsor is $250.00. Team Sponsors will get a plaque of the team with there name on it at the end of the season. In addition each sponsor's information will be put on a banner which will be hung on the backstop with all logos from same division. This banner will be up throughout the season. Our league is built of volunteers and community support from individuals and businesses. We appreciate our league sponsors so much and we couldn’t have the awesome baseball seasons that we do year after year without your generosity. Please fill out the above form. 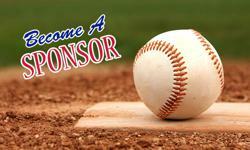 Interested in becoming a sponsor of Arroyo Grande Valley Little League? Want to participate in your local community? Become a sponsor for Arroyo Grande Valley Little League and support youth in your area. ©2019 Arroyo Grande Valley Little League / SportsEngine. All Rights Reserved.